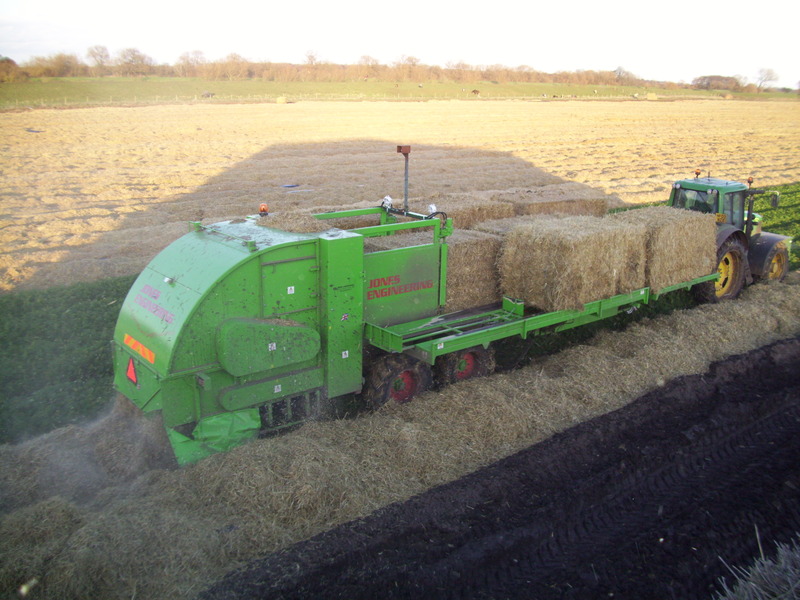 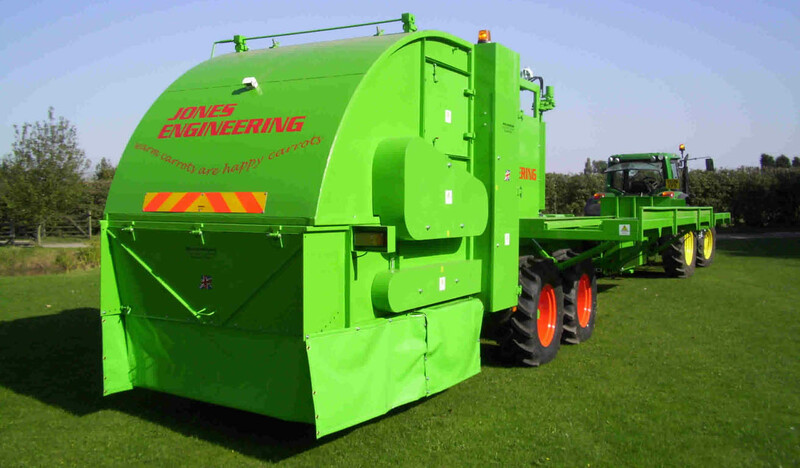 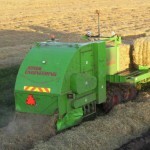 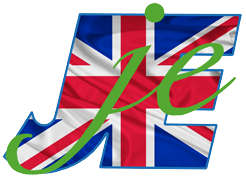 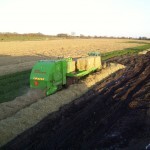 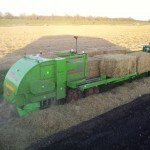 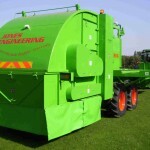 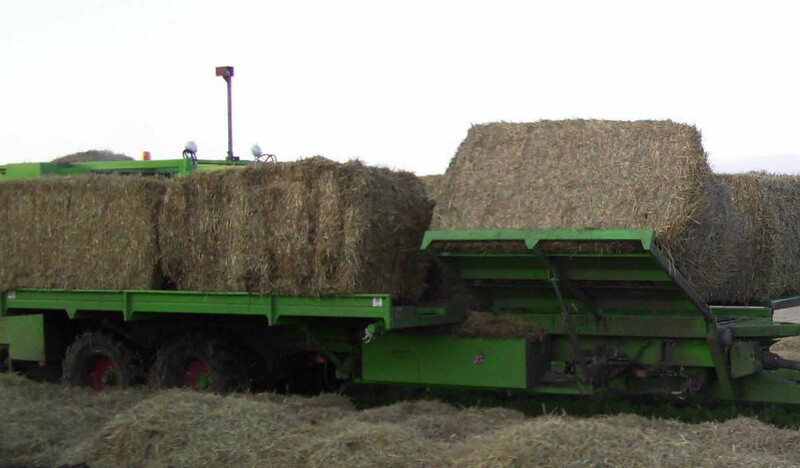 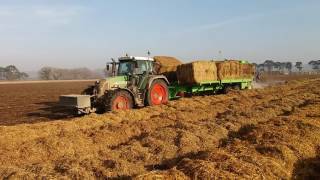 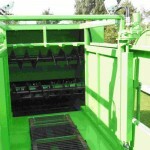 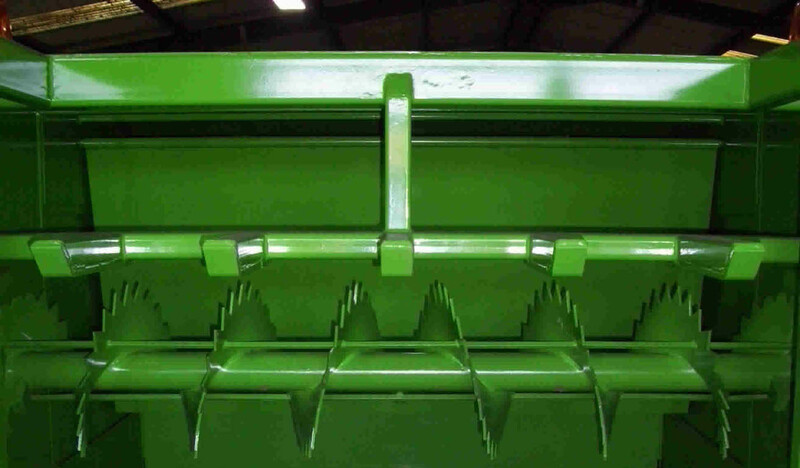 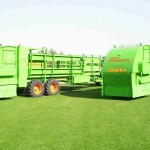 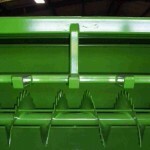 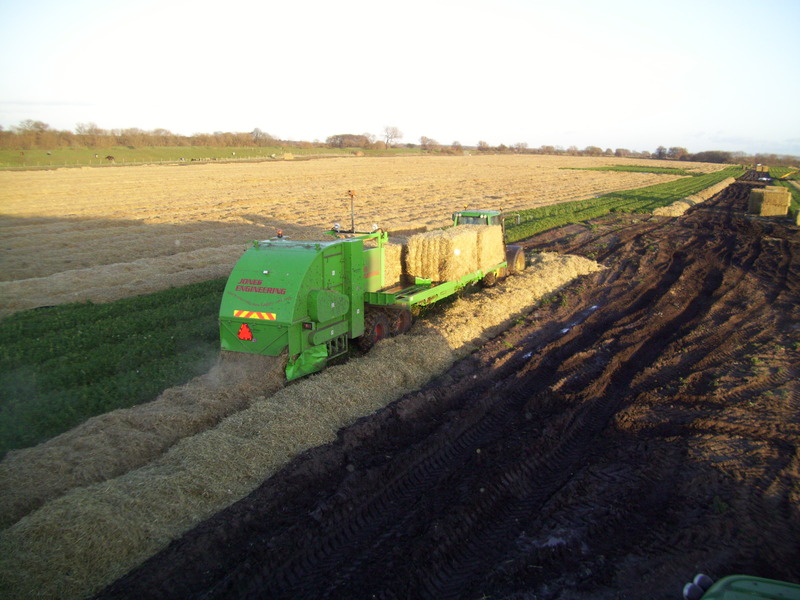 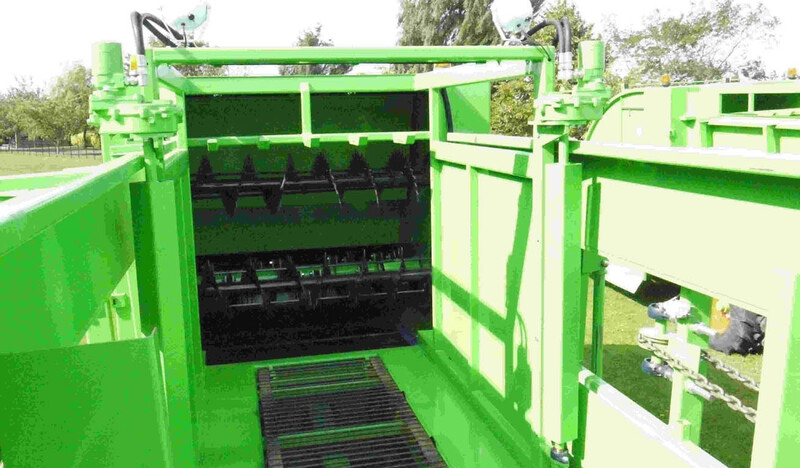 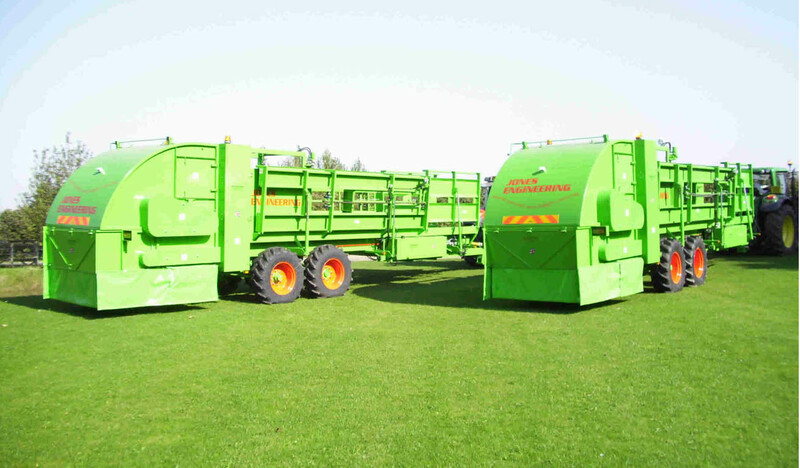 The Jones Engineering Straw Layer can carry up to nine bales with three down the middle and three on each wing, bales are pushed forward and loaded from the front eliminating gaps, the two feed webs are independent with purge buttons to ensure even feed to the shredding chamber. 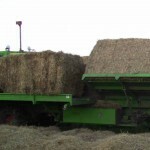 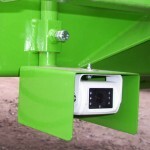 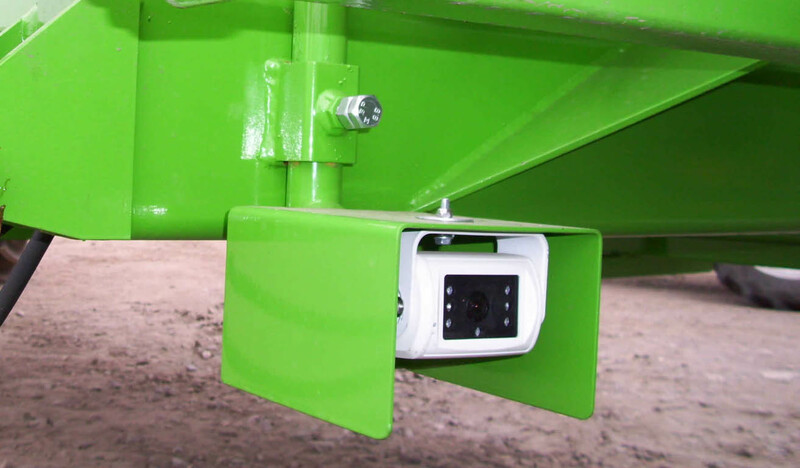 The rear hood covers two horizontal rotors for the initial shredding, behind this is a rotor with swinging blades to make sure all the straw is shredded before going onto the rear elevator. 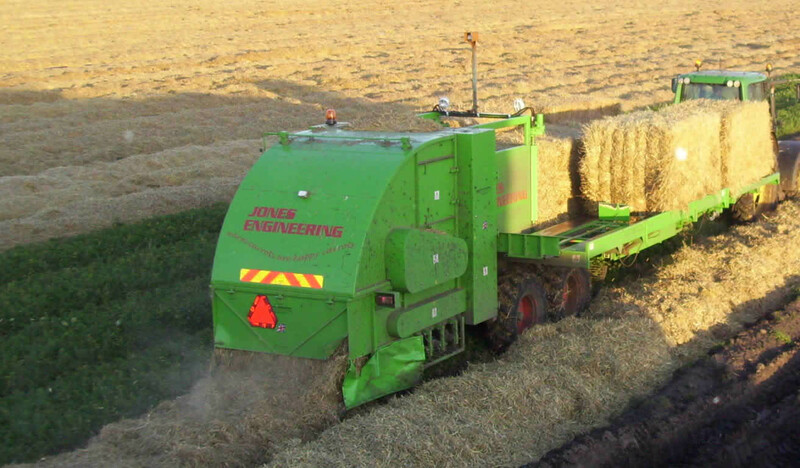 At the back of the rear elevator an adjustable levelling paddle maintains the correct depth of straw to be spread, optional wheel drive is available to help keep track on hilly terrain.